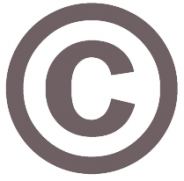 Welcome to the foreign rights page of Singel Publishers. De Arbeiderspers, founded in 1929, publishes Dutch and translated fiction and non-fiction. The company issues the works of famous and award-winning Dutch and Flemish authors, including Maarten ’t Hart, Anna Enquist, Arthur Japin, Ilja Leonard Pfeijffer and Tessa de Loo. Authors of both fiction and non-fiction, like Joke J. Hermsen and Joost Zwagerman, are also represented. The list also includes young poets like Charlotte Van den Broeck and Radna Fabias. In the field of foreign literature De Arbeiderspers may call itself the publisher of such authors as Paulo Coelho, Michel Houellebecq, Cormac McCarthy, Tim Parks, Jennifer Egan and Alice Zeniter. On the backlist one will find classic authors such as Thomas Mann, Gustave Flaubert, Curzio Malaparte, Margo Jefferson, George Orwell, Clarice Lispector and John Updike – to mention a few. Dutch bookseller Emanuel Querido had been publishing books since 1903, but did not found his publishing house until 1915. 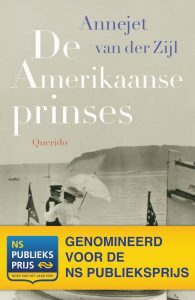 Throughout the years, Querido has specialized in high-quality Dutch fiction, non-fiction and poetry. Hella S. Haasse, Thomas Rosenboom, Toon Tellegen, Annejet van der Zijl, Frank Westerman and A.F.Th. van der Heijden are only a few of the company’s award-winning authors. Recently, Querido’s younger authors, such as Marente de Moor and Jamal Ouariachi, have become very successful. Translations of foreign literature have been added to Querido’s list as well. As such, Sebastian Barry, Elfriede Jelinek, Wieslaw Mysliwski, Daniel Kehlmann, Patrick Modiano, Jesse Ball, John Banville, James Wood and Marlene van Niekerk have been published by the company. Querido has been publishing children’s books since 1971, specializing in picture books and quality fiction for all age groups. Querido publishes 50 to 60 new children’s books yearly, mostly by Dutch and Flemish authors (75% of the books on the list were written in Dutch). Among them are many award winning and classic writers and illustrators, like Annie M.G. Schmidt, Guus Kuijer, Toon Tellegen, Bart Moeyaert, Simon van der Geest, Annet Schaap, Marit Törnqvist, Edward van de Vendel and Anna Woltz. Foreign authors and illustrators whose work has recently been published by Querido are Timothée de Fombelle, Cornelia Funke, Nicola Yoon, Shaun Tan, M.G. Leonard, Rebecca Stead, R.J. Palacio and Marianne Dubuc. Volt initially started in 2006 under the name Q as an imprint, but has since become an independent publishing house within Singel Publishers. Volt is aimed at upmarket commercial fiction and popular non-fiction, as well as Young Adult, New Adult and, as of 2019, children’s books. Amongst others, Volt publishes the translated works of Elia Barceló, Arnaldur Indridason, Nele Neuheus, Fredrik Backman, Ernest Cline, David Grann, Unni Lindell, Cora Carmack and Elle Kennedy. Books by Dutch authors Babette Porcelijn and Hilde Vandermeeren are also issued by Volt. Athenaeum has been publishing fiction, poetry and non fiction since 1962, specializing in classic authors of all times and places. Our backlist includes works by Elias Canetti, Dante Alighieri, Desiderius Erasmus, Homer, James Joyce, Franz Kafka, Niccolò Machiavelli and Michel de Montaigne. Over the years, Athenaeum – Polak & Van Gennep has also established an excellent reputation with high quality non-fiction. Bestselling titles on this list are the books by Fik Meijer about ancient times, and Erik Scherder’s books about our brains. Translations of foreign titles include the works of Tom Holland, Mary Beard and Carson McCullers. Athenaeum – Polak & Van Gennep also focuses on high quality travel guides and books about religion and art. Nijgh & Van Ditmar is one of the oldest publishing houses in the Netherlands, but one of the youngest at heart. The fiction list is famous for its classical twentieth-century Dutch authors such as J. Slauerhoff, Nescio and F. Bordewijk. In recent years, this list has been enriched by writers who share a strong sense of realism enlivened by wit and an unpretentious idiosyncrasy. Among them are Arnon Grunberg, Francine Oomen, Nicolien Mizee, Marja Pruis and Pieter Waterdrinker. Nijgh & Van Ditmar has also been expanding their fiction list with Dutch translations, including those of works by Amy Bloom, Patrick deWitt, Han Kang, Sayaka Murata, Maggie O’Farrell, David Szalay and Sarah Waters. The non-fiction list includes topics ranging from lyrics and cabaret to travel and culture. In 2018, a new, culinary list was started: Nijgh Cuisine. This imprint is the home of prominent cookbook authors like Yvette van Boven, Onno Kleyn, Alice Waters and Joris Bijdendijk. Since 1983, De Geus has been one of the most prominent and distinguished literary publishing houses of the Netherlands. The firm publishes Dutch and translated literary works, as well as non-fiction and thrillers, and houses (internationally) renowned authors such as Karl Ove Knausgård, Håkan Nesser, George Saunders, Fred Vargas, Matthew Walker, Alice Munro, Colm Tóibín, James Baldwin, Deborah Feldman, Naomi Klein, Esther Gerritsen, Jaap Robben, Alfred Birney, Annelies Verbeke and many others. De Geus stands for literature that matters; written works that are characterized by their depth and social concern. Diversity is of great importance for this company: it attempts to publish male and female authors in equal measure and seeks to give voice to those who lack it. Here, literary quality is key. Furthermore, De Geus is very proud of the many Nobel Prize Recipients it represents. The publisher’s name refers to the company’s characteristics: vigor, independence, and the will to contribute to that which moves humanity.